English To French Translators: Why Is Arabic An Important Language? English to French translators are very important people – they can be used as tools in academic circles and the business world. They can even help with personal translation. French is a language that is spoken in many places across the world – but Arabic is spoken in even more. Should you translate to Arabic? The Arabic language’s importance in the world is clear when you realise that there are more than 300 million Arabic speakers in the world. It is a language that is spoken in 57 countries worldwide. A language translator who can translate Arabic is worth their weight in gold! Countries in which Arabic is spoken often have ties in a business sense to the UK, and they provide many resources. One of the biggest is oil, but there are many others. The western world is becoming more and more familiar with the Arab world, and translation can help with this, and aid relations (including business relations). English to French translation is just one of the many important translation tools, and it can go hand in hand with English to Arabic translation. But there is more to Arabic than one simple translation – it is a rich language with many different variations. This means that those in Morocco may not speak the same type of Arabic as those in Egypt or the Lebanon. So finding the right translator is essential to avoid any errors. Whatever you need to have translated into Arabic, you can only really do so through a qualified, knowledgeable translator. 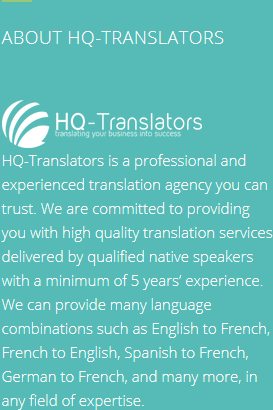 HQ-Translators offers many different languages and dialects including fantastic English to French translators. 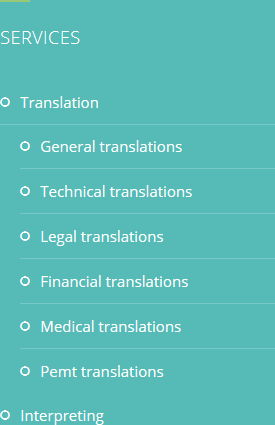 Our team of expert translators is on hand to help you. 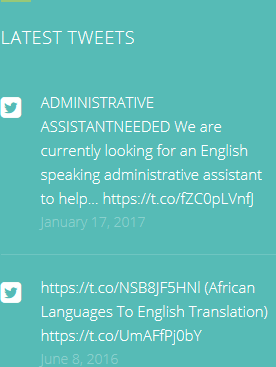 Find out more at https://hq-translators.com. If you would like more in depth advice, please contact us on infos@hq-translators.com or (00 237) 242 71 38 38 or (00 237) 693 21 69 27.